Is Psalm 83 the next prophetic fulfillment? Find out as Dr. David Reagan interviews Bill Salus on Christ in Prophecy. Last aired on May 10, 2009. 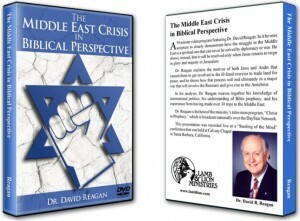 Dr. Reagan: What is the next prophetic event that will happen in the Middle East? Many prophecies concerning that area of the world have recently been fulfilled. For example the Bible prophesized that in the end times the Jews will be re-gathered from the four corners of the world, an amazing development that occurred in the 20th century and which continues today. The Bible also prophesized that as the results of that re-gathering the state of Israel would be reestablished a momentous event that occurred on May the 14th 1948. Jesus himself prophesized that one day the city of Jerusalem would be reoccupied by the Jews and that event too place on June the 7th 1967. Finally the Biblical prophets stated that once the nation of Israel was reestablished all the world would come together against it over the issue of who would control Jerusalem. And that is exactly what is happening today. So what’s next? Most believe that it will be an invasion of Israel lead by Russia accompanied by a number of Muslim nations. But our guest today believes otherwise, he thinks the next great prophetic event in the Middle East will be a war between Israel and all the Arab nations that share a common border with it. Where does he get that idea? Who is going to win that war? And what will be the consequences? Stay tuned. Dr. Reagan: Greetings in the name of Jesus our blessed hope, and welcome to Christ in Prophecy. I am sitting here in a hotel room at a hotel near the Dallas International, Dallas Fort Worth International Airport. And I am here for a major Bible prophecy conference. And I am delighted to have with me a man that I have corresponded with for seems like forever for at least the last six to eight months, and never had the opportunity to meet him. His name is Bill Salus. Bill we are so glad to have you here with us. 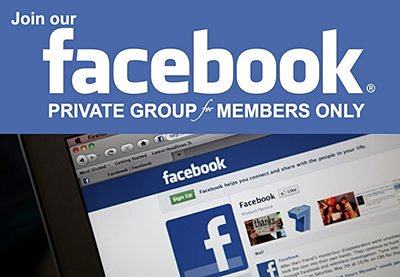 Bill Salus: David thank you it is a pleasure to be on your program today. Dr. Reagan: Now tell us where you are from. Bill Salus: I am from Palm Springs California, Indio area out there in Southern California. Dr. Reagan: Well I am glad we finally got you in the Dallas area. Bill and I have been corresponding for so long back and forth and it is really a joy to meet him personally now. Bill is a relatively new person on the scene when it comes to Bible prophecy. But I want to tell you what he hit it with a big splash. That is he wrote a book entitled, Isralestine. In fact I have a copy of that book right here. And we are going to tell you at the end of the program how you can get a copy of it. But Bill came up with some really great ideas in this book that help explain some things that had never been explained before concerning end time Bible prophecy. But tell you what Bill before we get to that, I want to take a moment to let our viewers get better acquainted with you. So tell us a little about your background your family, whatever. Bill Salus: Well I am married I have been married 36 years, my lovely wife Tony and I’ve got three adult children and two grand children. I was a professional musician for many years in the Hawaiian Islands then I went on to another career after that. And got my business degree and opened a mortgage company, in Big Bear Lake, California, that is where I meet Chuck Missler, and became a Christian and that was back in 1992. I became a Christian by attending his Revelation studies, there was a Calvary Chapel up there right next door to my office, and he was teaching on Revelation. And I wasn’t a Christian at the time. And I was a friend with the pastor Mike Fulmer of Calvary there, he invited me to come over, he knew I would be interested in something like that. And indeed I was, so I immediately was just fascinated by Bible prophecy through, especially the way Chuck Missler taught it. I became a sponge, I went out and bought all of his… Then there was an earthquake and in 1992, a 7.2 earthquake right there in the area. And Chuck Missler left like a month after I became a born-again Christian. So I got all of his tapes and books and Dr. Arnold Fruchtenbaum so on and so forth. Dr. Reagan: Brother you must been studying non stop. It is hard to believe that you become a Christian in 1992 and already have a best selling book on Bible prophecy. Bill Salus: Ah, this is true, I was just fascinated every morning before I went to work about 4 o’clock, 5 o’clock in the morning I would spend a couple hours studying prophecy. Dr. Reagan: So you hit the ground running trying to make up for lost time, huh? Bill Salus: I did I was just so intrigued. Dr. Reagan: Well I tell you that is an amazing story Bill. And to me there is only one answer to what has happened. That is God gave you a supernatural anointing to understand Bible prophecy to be able to explain it to others. And to give you some insights that you couldn’t have gotten that quickly studying Bible prophecy. Bill Salus: Well thank you David I feel very blessed that God meet me in those studies and those studies turned into chapters and now we have a book. Dr. Reagan: Well let’s get to your book for a moment, because I tell you it is something else and I want people to realize how important this book is. And let me get into this by saying that in Ezekiel 38 and 39 it speaks of a great invasion of Israel in the end times. Most people believe this is going to be lead by Russia together with a lot of Muslim nations. And there are some problems with this, because most Bible prophecy scholars until you came on the scene believed that this would be the next major prophetic event. But the problem is that in Ezekiel 38 and 39 it says over and over Israel would be living securely says it that for example verse 8 of 38 in verse 11, “they will be living without walls,” in verse 14, “they will be living securely.” And that is not the situation in Israel today. And yet people have said, well it is just a relative thing they are relatively living securely but they are not. And so how could this be the next event when that condition has not been met? Also there is a puzzling thing about the prophecy and that is when it names the Russian allies it does not include any of the Arabs nations that have a common border with Israel. Dr. Reagan: You have come up with a solution to both of those. Tell us about it. Bill Salus: Okay, well it is interesting because with all the elbow rubbing that Russia is doing these days and muscle flexing that Russia is doing these days it does appear as though this would be the next prophecy that would be fulfilled. 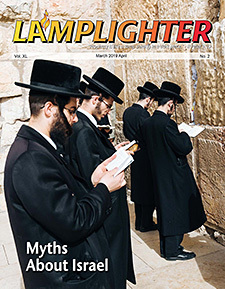 And I did an article that you actually put in your Lamplighter Magazine, called: “Psalm 83 Verses Ezekiel 38 Which is the Next Middle East News Headline”. Bill Salus: In that article I discussed six to seven reasons believe that it was six but I found a seventh now that I will share with your audience. As to why Israel is not in that condition yet for Russia to invade. Like you said they are now dwelling securely. I have a chapter in the book called Israel Dwelling Securely, and the Yisreal Yasbab Betach. And they are not dwelling securely they are, of course they had 4,000 rockets logged at them from Hezbollah so on and so forth in the summer 2000. And they are not dwelling without walls, which is another condition they have to be in. Dr. Reagan: In fact they are building walls. Bill Salus: Yes they have a 403 mile wall that at some point that they have almost finished completing that is at some points is 20 feet high to keep the Palestinian terrorist element out of Israel proper. They are not dwelling in the center of the land this is the new one I discovered. It says in Ezekiel 38, he is saying that, this is brought up by Shebah and Dedan when they are saying Israel is in the midst of the land when Russia comes against them. And the Hebrew word is tabbuwr. And we have to wonder what, and that means center in the language, we have to wonder what portion of land was he really talking about. Was he talking about that portion of land allotted to the Jewish State in 1947 with UN Resolution 181 of the Partition Plan or was he perhaps talking about the land allotted to the Jewish people in Genesis 15:18 when God promised Abraham that he would give Him land from the river of Egypt to the River of Euphrates which is of course through Syria and Iraq, which would put the center of that land in Jordan. And as I get into the book and hopefully discuss some of this stuff, I talk about how Israel with annex land and will find themselves in possession of Jordan. It appears to be from several scriptures that I point out in the book. They are not dwelling securely, they are not one of the wealthiest nations in the world. Or they haven’t acquired they exceedingly great plunder that Russia also comes after. We are given a hint as to the motive of Russia and the consortia of Russian alliance that comes against Israel. They are coming for exceedingly great plunder. Some suspect that since Israel is drilling for oils these days with Zion Oil that they will come into a new found wealth of oil under their own soil. And they might. And there a lot of Zion Oil, Prophetic Oils out there. They tie in connecting passages of the Old Testament where they believe that it is foretold that Israel will find oil. However, I don’t think it will be limited to that. I believe that it will be the exploitation of their resources, as Israel expands and conquer over Psalm 83 Arab Nations which I am sure we will talk about. Dr. Reagan: Okay now, you mentioned Psalm 83, and that’s where we are getting to the heart of what you have written about. So let’s pause here for just a moment, and when we come back we want to jump into Psalm 83 and see what it was you discovered that no one else seemed to ever notice before. That solves these problems about Israel living in peace, and security, and also the mysterious thing that the Russian invasion does not include the surrounding Arab Nations. So we will be back with you in just a moment. In the mean time folks what want to do is show you how you can get in touch with this ministry through our website. And find out more about what we do and find out about all the wonderful resources that we have available to help you better understand Bible prophecy. Dr. Reagan: Welcome back to Christ in Prophecy. My special guest is Bill Salus from California who is the author of this great book Isralestine that solves some problems, some mysteries about end time Bible prophecy. And we are going to get to that right now. Bill lets pick up where you left off. We were talking about the fact that Ezekiel 38 and 39 says that the Israelis will be living in peace without walls when this Russia invasion occurs. That is not situation now secondly it doesn’t mention any of the Arab nations that have a common border as being part of the invasion. Why aren’t they there? Now you suddenly hit the scene with an answer to both of those questions concerning Psalm 83. Now how does Psalm 83 answer those questions? 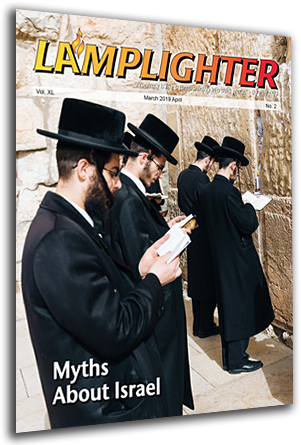 Bill Salus: Well yes David, it is intriguing that Israel’s most observable opponents over the last 60 years since the restoration of the nation are not enlisted in the Ezekiel 38 nine member consortia of nations. This has puzzled the scholar a lot recently. These are the very nations that border Israel through which the Russian invasion would be trespassing into to get into Israel to invade. So of course why are they now listed? And of course what we are referring to are Lebanon, Syria, Jordan, Saudi Arabia, Egypt, and what has evolved out of those entities are Hezbollah, Hamas, Palestinians, and other terrorist entities could be included in that list. Three-thousand years ago oddly enough, a prophecy that has not found its final fulfillment, Psalm 83 issued by Asaph the Seer enlist all of these specific populations that we are talking about there are ten of them in total. In my book I have gone through and traced who they are because when Asaph wrote this prophecy he was speaking in vernacular of his time he was talking about the Edomites and Philistians and Tyrians from Tyre. Well you, know, who could he have been talking about and it turns out he appears to have been talking about the Palestinian refuges, the Hamas, the Hezbollah, he talks about Assyria which would encompass Syria and part of Northern Iraq. He talks about the Hagarines which Dr. Arnold Fruchtenbaum and myself subscribe to being Hagar was the matriarch, a matriarch of Egypt she mothered Ishmael for Abraham so we look at them as the Egyptians. Ismaelites we look at them as the Saudi Arabians and I, though out the book I weave in these connections of who these people are through the research I have done. And they are absent from the Ezekiel 38 invasion. So I was intrigued by Psalm 83 and of course the theme of the book is Psalm 83, and I talk about how this, and the Psalm talks about these ten populations coming together with one consent and in an attempt to destroy the nation of Israel that the name Israel would be remembered no more. So I look at that as and most scholars agree has not been fulfilled yet, so I look at that as a forthcoming event in light of the way we see the stage setting over in the Middle East presently. It answers the questions, why aren’t those nations included in Ezekiel 38 and 39 and so, and then I get into how God deals with that battle. We will probably be talking little about that in the interview as well through the exceedingly great army of Ezekiel 37:10 which I believe the Israeli Defense Forces will fulfill that prophecy. So they are not listed in Ezekiel 38 and 39, but they are listed in Psalm 83, and so I make a distinction between the two. Now when the Israeli Defense Forces defeat, I call it the Israeli Conquest in the book, and I call these nations of Psalm 83 the inner circle. Dr. Reagan: Okay, wait a minute lets make sure the viewer understand this. You are saying that Psalm 83 is a war that is going to be fought before the war in Ezekiel 38 and 39. Yes. And it will be a war in which Israel will defeat all of these Arab nations that have a common border with it. Dr. Reagan: And Israel will expand into that territory. Dr. Reagan: And therefore that is the reason they are not mentioned in the Russian invasion. Bill Salus: That is four yeses. Dr. Reagan: Alright. We are onto something here. Bill Salus: This is my hypotheses. Dr. Reagan: That solves the problem too of Israel having peace. Bill Salus: Solves it and it also solves the problem of Israel moving into the center of the land, midst of the land, it also solves the problem of them be exceedingly wealthy because they will be able to exploit their resources. I believe that it will be a safer Israel more Alilyah will come forward, more Jews will come into Israel, they will exploit the resources and expand the territorially. And they will, be will become that ripe carrot on the string that Russian and Iran will lick their chops to come after for that exceedingly great plunder. Dr. Reagan: Well I tell you what Bill when I read your book and you sent me a copy before it was published. I was just sitting there saying, “Yes, yes, yes”. I mean this answers all these questions and I couldn’t understand why anybody, myself included had never seen this before because I always wondered why is it, it says Russia. They are living in peace, and these others are not mentioned as part of the Russian invasion. And it just, I think the Lord gave you an insight there and it just pulls it all together and makes is so clear. That the Israelis will fight this war, win this war, occupy these territories have the peace and that is why they are not included in the invasion. And Israel will really be living in peace. Well I tell you it is quite an insight, and I get excited about it. I thank you for it. It is really a great insight. And how has it been received? Bill Salus: It has been received fairly well, by scholars like yourself and many others. Um, it’s caused a lot of people to dive deeper into the Psalm and try to understand it. See the interesting thing about it, it is a partitioned, it is a prophecy put into a partition only format. Dr. Reagan: That’s right, that’s right. Bill Salus: It is not like Ezekiel 38 and 39 where we say in California, you get the entire enchilada. Dr. Reagan: You are right, it does raise a very important question, the question is this: It never says in the Psalm who wins this war, so how do you know the Israelis win this war? Bill Salus: Well the, there are several reasons for that David. The very basic starting one theologically is that God promised Abraham he would have descendants forever and those would be the Jewish people. What we are talking about is a probably nothing less or nothing short or a genocidal attempt against the Jewish people by the Arab Nations that we talked about those ten populations. God is a promise keeper, and He will not allow the Jewish people to be destroyed. Hitler was unsuccessful and of course there is a litany of attempts. Dr. Reagan: In fact in Amos he says, I will put you in that land and you will never be rooted up again. Bill Salus: Exactly. If God keeps his promise to Israel which we know he will, then the Jewish, the Jews will win. But what connected this for me David is Ezekiel 37:10, you know many people, Dr. Arnold Fruchtenbaum and myself included believe that Ezekiel was transported in Ezekiel 37, 2600 years ago into the 1940’s where he saw the vision of the Valley of Dry Bones. And this represented the Jewish people in the Diaspora in a devastating grave holocaust condition and it says, then God even asks Ezekiel can these bones live. Ezekiel says, God you know. What a profound question that turns out to be because if they don’t survive the very thing we are talking about God broke His promise to Abraham. Dr. Reagan: Welcome back to Christ in Prophecy I am interviewing Bill Salus who is the author of this great book Isralestine that gives us a development of Psalm 83 and along that line Bill I want to get something in here very quickly. And that about this time that you were getting this insight from the Lord wasn’t something discovered in Ireland. Bill Salus: Yes believe it was July of 2006 an engineer was digging up some Irish bog soil and he found under the soil almost unblemished a parchment opened to specifically to Psalm 83. Dr. Reagan: Well that is just amazing and that was on the news all over the world. I remember I saw photographs of it and all, and then bang here you come with Psalm 83. Bill Salus: Well the Rabbis say there is no such thing as kosher I think that is the word right? Dr. Reagan: Right. Now to a very important question, and we don’t have much time, the question is this: traditionally Bible prophecy teachers have said that peace would come to Israel only when the Anti-Christ made a covenant with them that would guarantee their security. Now you are saying the Israelis are going to defeat all of their Arab neighbors around them. Occupy their territory, have peace and become a world super power. And they don’t need an Anti-Christ to guarantee their peace. So what is the Anti-Christ coming all about? Bill Salus: Exactly the traditional view point that has been taught for the last 60 years has come from the limited lenses of a lesser Israel in my estimation. Dr. Reagan: Well I hope the Lord gives you that insight very soon. Dr. Reagan: Bill I really appreciate you being on our program it is a great blessing and I would like you to look into that camera right in front of you for a moment and tell people how they can get in touch with your ministry. Bill Salus: Yes David thank you. My website is prophecydepot.com, that is www.prophecydepot.com, like Home Depot, D-E-P-O-T. I have many articles on there you can purchase my book on that site. You can also get it from Amazon.com, and there are some bookstores like Borders and Barnes and Nobles that are carrying it. But for sure you can get it on my website. It is a fascinating book, I hope you enjoy it. And please blog me when you do read it, my contact information is right on the front cover of my website how you can reach me on the website so I look forward to that. Dr. Reagan: Now Bill I know you do a number of radio interviews and do you have any of those posted on your website. Bill Salus: As a matter of fact I do, and I still have our interview posted on there parts 1 and 2. Dr. Reagan: We had a great time talking about your book. Bill Salus: That was one of my favorite radio interviews. Dr. Reagan: Except I kind of got carried away and I think you had to break it up into two programs didn’t you? Bill Salus: Well you warned me that might happen. [laugh] But I am glad it did, I have gotten a lot of good responses about those interviews. Dr. Reagan: Yeah I got tickled at that because you said weren’t sure, you kept on wanting me to give you questions and all, I said Well Bill once we get started I tell you I can talk. Bill Salus: You told me, yeah I got 5 or 6 questions usually I get 10 or 11 questions. I said David this will likely just be a part one, and you warned me. Dr. Reagan: Well folks I hope you will go to Bills website and get acquainted with his ministry his book his writings, he is right on target. This is not a sensationalist this is a man who everything he writes is firmly rooted in scriptures. You do that and invite him to come speak at your church because I know he would love to do that. Well that is our program for this week. 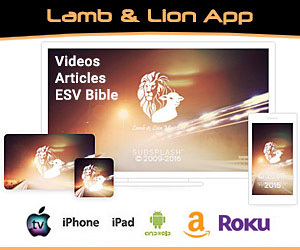 Until next week, the Lord willing, this is Dave Reagan speaking for Lamb and Lion Ministries saying, look up be watchful for our redemption is drawing near.